I cook as often as possible at home. Let’s face it–it’s (at times) healthier and and much more cost-effective. Growing up, dinner time was a must in our home. Everyon sat at the table, and it was the one time each day that we all get to spend time together. I feel like dinner time is starting to get lost thanks to modern technology. There is no more quality time. I’m very “old school” in my ways, and although its just my husband and I — I insist we sit at the table every night (well most nights) and eat dinner together. For some reason I can not eat dinner with out my husband. It just doesn’t feel right to eat. I know, I’m wierd. 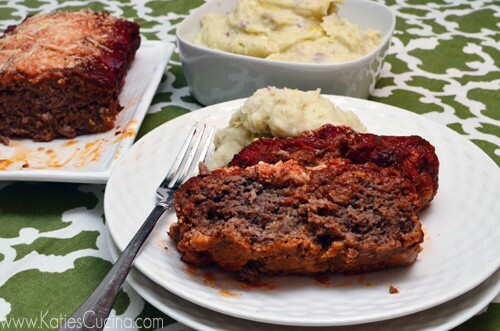 Nothing screams a family dinner more than meat loaf. 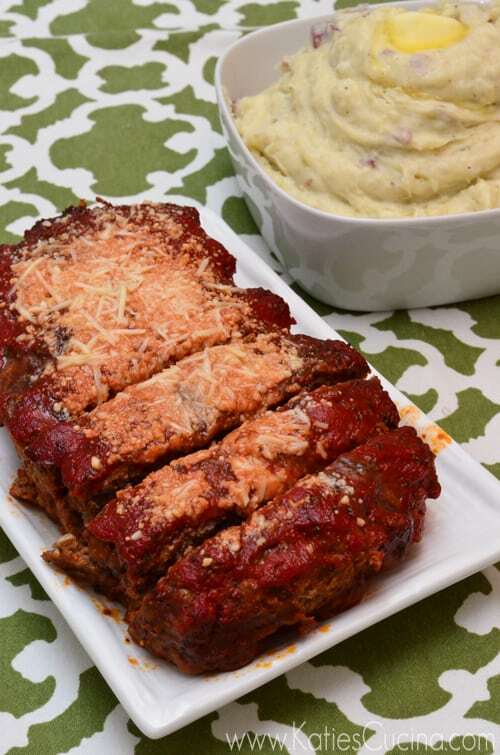 I partnered up with McCormick.com to cook this Italian Meatloaf. By using staple spices like McCormick Perfect Pinch Italian Seasoning, McCormick Onion Power, McCormick Garlic Powder, and McCormick Black Pepper homemade dinner flavors shine! Preheat the oven to 350 degrees farenheit. Mix the ground beef, bread crumbs, 1/4 cp of the parmesan cheese, egg, 2 teaspoons of the Itlaian seasoning and remaining seasonings in a large bowl. Shape the meat into a loaf on a shallow baking pan. In a seperate bowl, mix the tomato sauce and remaining 2 teaspoons Italian seasoning. Pour over the top of the meatloaf. Bake 55 to 60 minutes or until the meat loaf is cooked through and internal temperature reaches 165 degrees farenheit. Sprinkle the remaining one tablespoon parmesan cheese and let it stand for 5 minutes before serving. In an effort to get more people eating at home, I’m hosting a Homemade in America giveaway. One lucky winner has the chance to win a McCormick gift set. Please leave a comment below telling me which McCormick spice you love to cook with most. Giveaway ends on October 27. One winner will be chosen at random using random.org. I love cumin! I’m a big tex mex fan, and we use that spice a lot in cooking! I love the McCormick chili packets. Especially the 30% less sodium ones. I can’t get enough garlic powder. Thyme is my favorite spice. I would love to try the Asian one! I like to use nutmeg to give extra autumn flavor. I love to cook with cinnamon! The Perfect Pinch Roasted Garlic & Bell Pepper Seasoning is a staple in our home. I love to cook with Mexican spices,like cumin, mexican oregano, and cilantro, so the McCormick Meixcan spice mix in the bottle would be great for my husband and I to cook with! It’s a tie … onion powder and garlic powder. I’m hungry! We use McCormick spices alot! I used the Chili mix tonite and we love the Asian spice. 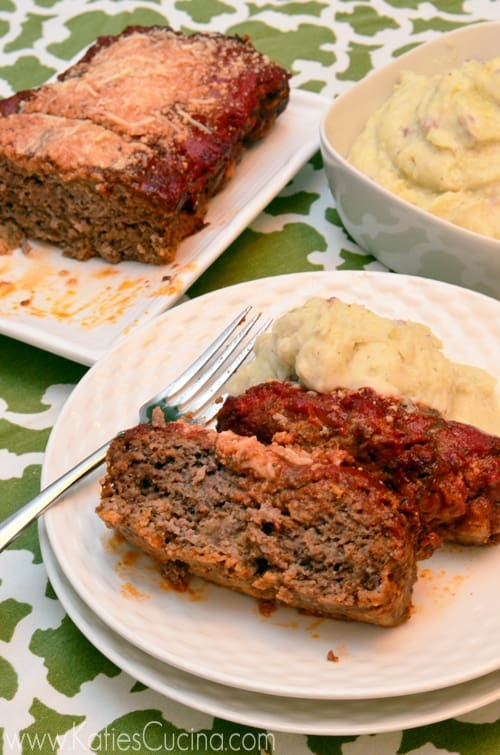 Wow that meatloaf looks amazing – I love oregano in my dishes, so would be good to try their dried oregano! I tend to use lots of Mexican oregano! I use their ground cinnamon often. I use a lot of garlic powder. I trust McCormick Garlic Powder as it doesn’t clump and gives a robust flavor of garlic in all my cooking! I love cooking with their ground cinnamon. I’m a big fan of cardamom! I really love their Applewood rub! YUM!! Hands down it’s basil for me when I’m cooking. I use it A LOT!!! I love cumin these days; I’ve been making things sort of Mexican flavored.